This land-locked mountainous country is gaining a reputation as an ecotourism destination. Its many rivers and pristine national parks are ideal for activities such as trekking, kayaking and caving diving. While Laos does not offer a coastline or famed beaches, it does have 4,000 islands in the south, as well as the Khonephabangeng Falls, the largest waterfall in Southeast Asia. The capital, Vientiane, is more like a big village than a crowded Asian hub and life throughout the country moves at a slow pace. 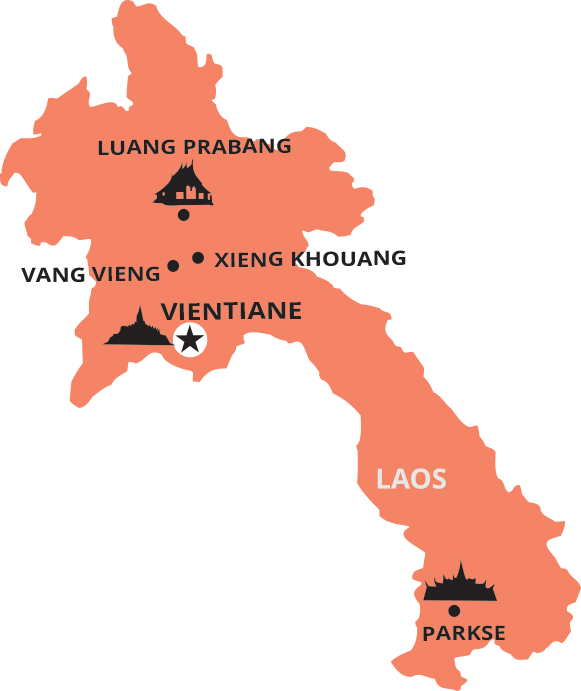 Most people come to Laos for a brief tour of Vientiane, the UNESCO World Heritage site Luang Prabang, and perhaps a brief detour to the mysterious Plain of Jars. However, those who make the effort to explore further afield, will be well rewarded with luscious landscapes, friendly people and unique glimpses of a country that has hardly changed for over centuries.